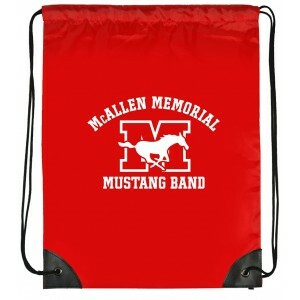 These customized economy polyester drawstring backpacks lends great value to your campaign. 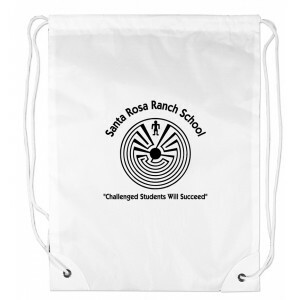 This economical polyester drawstring backpack is offered in several vibrant colors and you can make the right choice depending on your personal preferences and target audience. 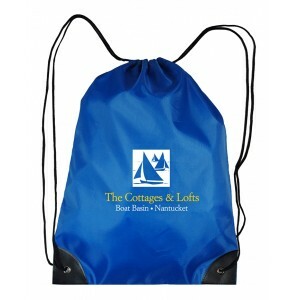 Museums, park districts, schools, theme parks, holiday services, summer camps, adventure camps and many others striving hard to attract youth to their business can benefit from these drawstring backpacks. 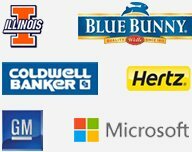 Free online design proof, safe and secured shopping, lowest price match guarantee are some of the benefits offered on these backpacks. 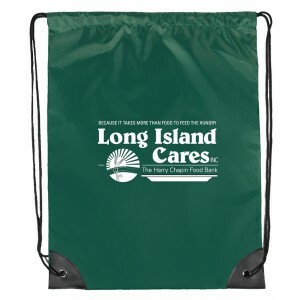 Request a quote to know value savings that you can expect on bulk ordering these personalized economy polyester drawstring backpack. 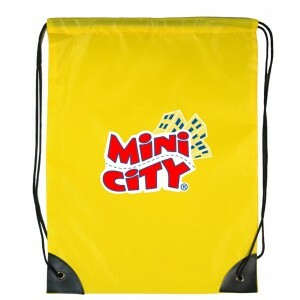 Features – 210 D Polyester. Reinforced corners with vinyl and eyelets. 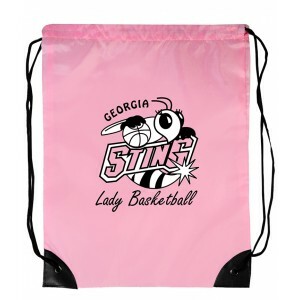 Available colors- Black, Forest Green, Pink, Red, Royal Blue, White and Yellow. 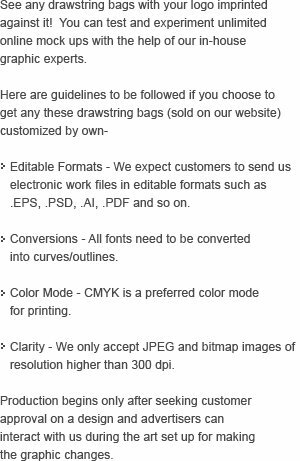 Item Size - 13"W x 17H". Imprint Area- 5"W x 6"H on front panel. 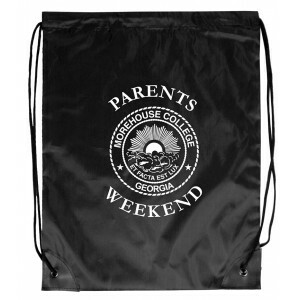 Imprint Method - Screen Print (Spot Color) & Heat Transfer (Full Color). Product Size : 13"W x 17H"